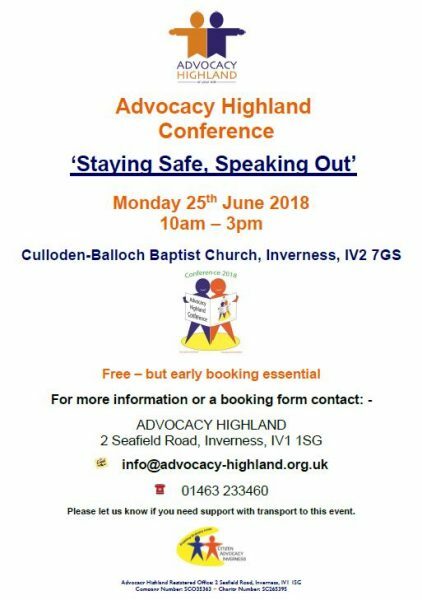 Advocacy Highland is holding a Conference on 25th June. The theme is “Staying Safe and Speaking Out”. The conference is free however we require a completed booking form for each person attending. Early booking is essential as places are limited. We would like as many people who have been, or could be, the subject of the Adult Support & Protection processes to attend. We can arrange transport if required.